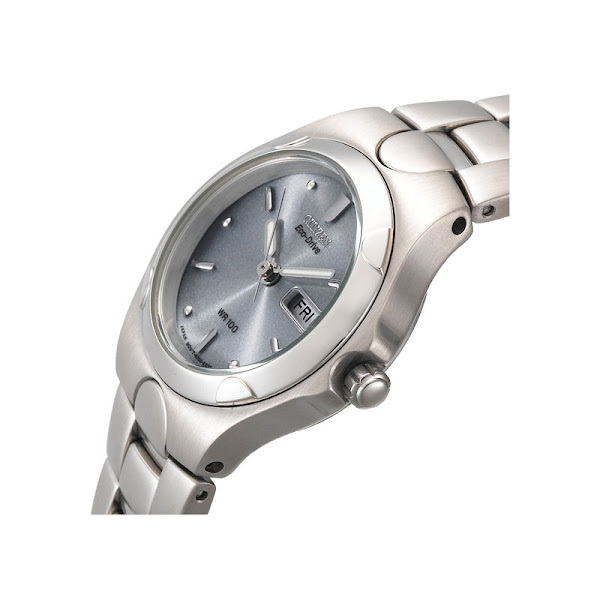 The EW3030-50A is one of Citizen Eco-Drive's series watch. Simple yet elegant, this solar powered timepieces come with a high grade stainless steel case with clean, classic design, features light powered Eco-Drive Caliber E000 Japanese-quartz movement that charges in natural sunlight or indoor light. Within its circular case you will find a luminous gun metal dial, complete with silver-tone markers and hands, and a convenient date display at three o'clock. Its window is shielded by a durable mineral crystal guards against wear and tear. While its polished bracelet strap comes with fold-over clasp with double push-button safety ensures secure, comfortable wear. In case you'd like to order yours, just saying, this 99 feet water resistant Citizen Eco-Drive's original price is $225. Buy : Citizen Women's EW3030-50A Eco-Drive Corso Watch. You can find an original Citizen EW3030-50A Watch at the site(s) listed above. However, we don’t guarantee its availability as being listed here simply means that those site(s) has the item in question by the time we wrote the review. The review in this page is written by garnish at Saturday, January 14, 2012. The post is tagged as $1000 and under, analog, citizen, men, watch, women.